The ISRC code is a unique 12 character alphanumeric code assigned to a given recording. The code must be assigned by qualified ISRC Manager, music service provider or by applying directly to the RIAA. The code, once acquired, is burned into the recording to allow for tracking of sales and usage both in CD format as well as on the internet. The following article details the individual elements of the ISRC code and what specific purpose each part has. Please note that the information below is for informational purposes only and does not authorize the reader to create their own codes. ISRC stands for International Standard Recording Code. It was developed by the international recording industry through the ISO (International Organization for Standardization) as a way to uniquely identify sound and music video recordings. The IFPI (International Federation of the Phonographic Industry) functions as the International ISRC agency. Since 1989, 49 national agencies have been appointed by the IFPI that implement these standards in individual countries. The US national agency is the RIAA (Recording Industry Association of America). All formalities aside, let's take a closer look at the makeup of the ISRC code. In the picture above, the first 2 categories are assigned by the RIAA to the registrant or ISRC Manager. The last 2 categories are assigned by the Registrant or ISRC Manager. Let's take a look at each in detail. The Country Code defines the country of origin for the recording. Each country has a unique 2 letter code that defines where the music is registered. Until late 2010 'US' was the country code for the United States but has since been changed to 'QM'. If a recording with a US or QM country code is sold or licensed to another country, the country code maintains its US or QM Country Code when used in the new country. It is important to note that when a recording is assigned an ISRC code, it remains with that recording forever. If the recording is changed, for example: rerecorded in another language, then a new code would need to be assigned. If the artist id from the US then it may be assigned with a US or QM Country Code even though it will be used in another country. The Registrant code makes up the next three alphanumeric characters and is uniquely assigned to the Registrant or ISRC Manager by the National ISRC Agency. These three alphanumeric characters allow the agency to track who has assigned the ISRC code to a given recording. It is used in conjunction with the Country Code to further aid in the tracking and origin of the assigned code. It is important to note here that the Country Code and Registrant Code are always used together and never changes based on the country that the song is being sold or licensed to. The Year of Reference defines the year in which the ISRC code was created and assigned. The two digits should not be confused with the year the recording was created. The Year of Reference represents the ISRC system and sets a reference point from which data can be tracked regarding the recording. For ISRCs assigned in 2011 you would have a Year of Reference of '11', for 2012 it would be '12' even if the recording was from 2003. The Designation Code is the only number that is assigned at the discretion of the Registrant or ISRC Manager. The designation Code is made up of five digits ranging from 00001 to 99999. Roughly 100,000 codes can be uniquely assigned to a given Registrant Code in any given calendar year. Once the calendar year changes the Designation Code numbers can start over again from 00001 since the change in Year of Reference would define it differently from the previous year. The codes used in a given year must be reported to the RIAA by the Registrant or ISRC Manager for the purpose of maintaing a database of assigned codes as well as for billing purposes. When assigning a code to a recording, the Registrant or ISRC manager must be responsible for keeping accurate records of the recording codes that have already been used. This helps to prevent the possibility of the same code being assigned to multiple songs. Good bookkeeping is a necessity! As an example, a CD with 10 recordings would likely have codes that assigned in consecutive order unless any one of the recordings already has a code assigned to it. Since a given recording can only have one code assigned to it, the original code would be used for that recording. The hyphens shown in the example below are not actually part of the code and are shown here for the sake of clarity. Each code is typically entered as a consecutive stream of letters and numbers for each song when encoded to a CD or an mp3 file. In the example above, the code must be acquired before the mastering process and supplied to the mastering engineer so that the data can be burned into the Q data channel for each song on the disc. Once the CDs are manufactured the codes cannot be added afterwords so it is important to acquire them ahead of your mastering session. Keep in mind that the process of acquiring ISRC codes may take 3 or 4 days depending on how you get them. A recording must only have one code assigned to it. Remember that a recording is not the song, it is a recorded version, or mix, of the song. A song may have many recordings associated with it including remixes, edited versions, A cappella versions, instrumentals etc… Each one requires a unique code. Never assign the same ISRC code to more than one recording. 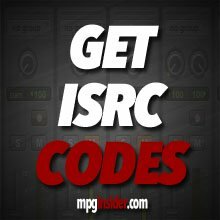 Maintain an accurate record of your assigned ISRC codes and what specific recordings they are associated with. Always provide the codes for each recording to your distributor and any outlets that may be streaming your music. 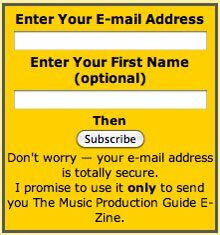 Most online distributors require this information when you submit your recordings. If sending music to a radio station, make sure that the codes are sent along in written form along with files. Don't assume that the ISRCs will automatically be read, call to verify. Provide the codes to the performing rights society you are a member of. Remember that radio play and usage in music venues requires licensing fees that get collected and distributed by performing rights societies to members whose usage can be tracked. Remember, ISRCs are only valuable to you if you use them! To find out more about ISRCs and how to use them, click here. (LINK TO ISRC MAIN PAGE) The information provided above should help you to determine if the codes you have been provided were assigned correctly. It should also give you the necessary information to determine what is in error so that the problem may be corrected.